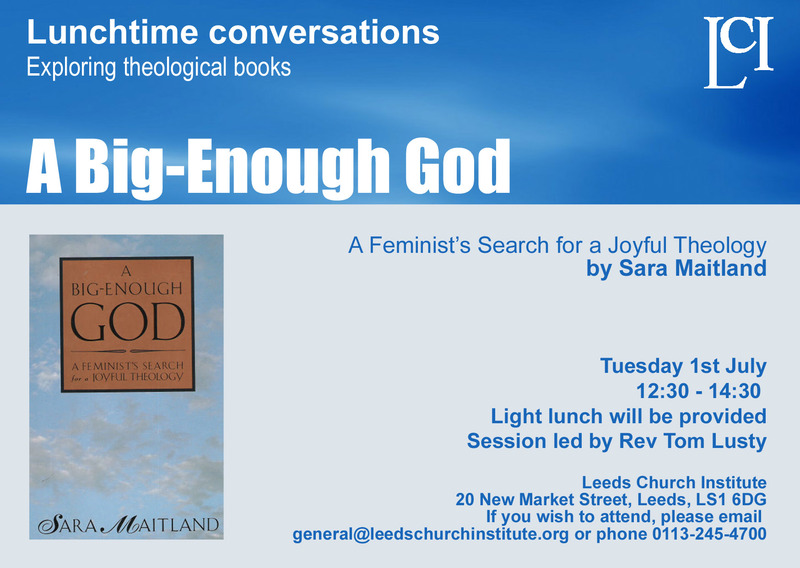 Revd Tom Lusty will be introducing Sara Maitland’s book which is subtitled ‘A feminist’s search for a joyful theology’. You don’t need to have read the book before you come – but you may well want to borrow it to read afterwards. To book a place please phone 0113 245 4700 or email general@leedschurchinstitute.org.